When you visit the park, you are a guest in this wild habitat. Treat all wildlife with respect. Feeding, harassing, injuring or removing wildlife, including alligators, is against the law. If swimming is allowed, swim only in designated areas. Swimming areas close at sunset. 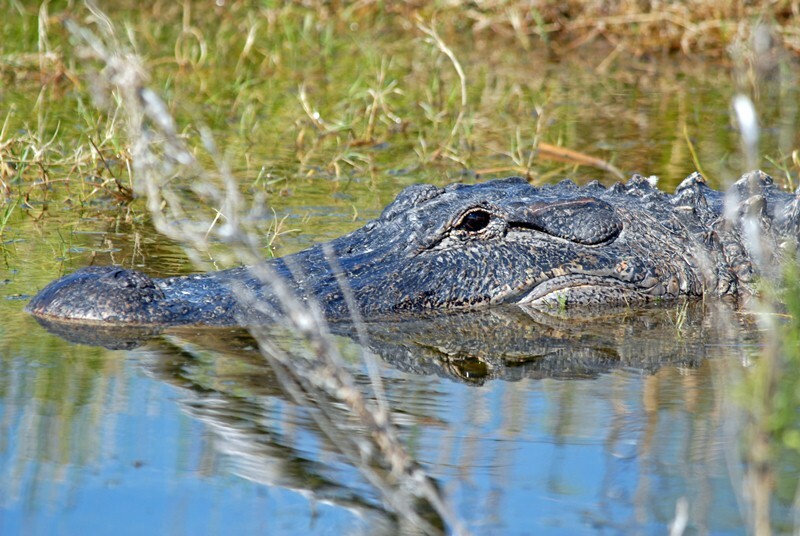 Alligators are more likely to be active at dusk and dawn. Do not feed or harass alligators. 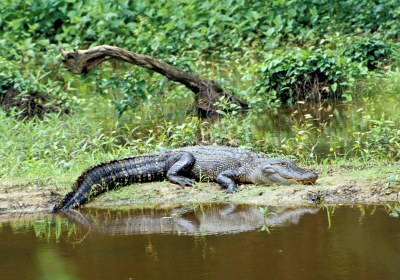 Feeding or offering food, including fish or bait, to alligators in Texas State Parks is not only dangerous, but a violation of state park rules and a Class C misdemeanor punishable by up to a $500 fine. Inform a park employee right away if you see an alligator in or near the swimming area or if you see people feeding or harassing alligators. Call the telephone number on your park map to report issues. Hiss: If an alligator hisses, it's warning you that you are too close. Back away slowly. Adapted from "Living with Alligators," Florida Fish and Wildlife Commission. Don't kill, harass, molest or try to move alligators. It is against state law, and a provoked alligator is likely to bite. 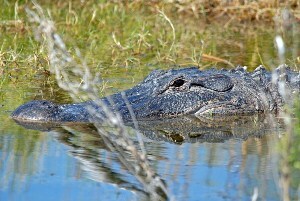 Do enjoy viewing and taking photos of alligators from a safe distance of at least 30 feet. Remember that they're an important part of Texas's natural history, as well as an integral part of many wetland ecosystems. Read more about the American Alligator.